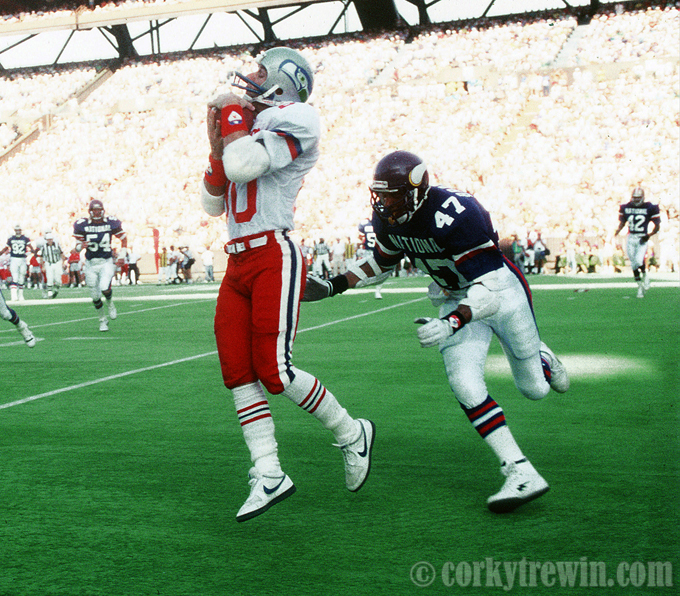 At the 1989 Pro Bowl game Steve Largent made this catch for his final Pro Bowl reception. Largent was selected to seven Pro Bowls. This entry was posted in NFL, Seattle Seahawks, Sports and tagged Pro Bowl, Steve Largent.